The Good Word for Nov. 1st ~ for the complete Sunday readings click here. Black Friday has become kind of a big deal. If Thanksgiving is a day to celebrate the good gifts in our life, Black Friday has become the day to buy ourselves more and more and more good gifts. People spend a lot of money on Black Friday. Which is why hearing that a store has decided to forgo the Black Friday money rush and instead close and then still pay their employees comes as a bit of a shock. REI, which is an outdoor gear co-op, has decided to close all 143 of its stores, but still pay their employees. What are they paying their employees to do? Go outside. Their rational is that they have always been a company that is about getting people outdoors. With that goal in mind they are inviting their employees, and whoever wants to join, to head outside on Black Friday instead of spending the day shopping. Obviously REI wants to make money. They sell goods and services. But they have decided there is something more central to who they are and what they are about. The readings this week point to a similar reality. Sunday is All Saints Day when we celebrate those who have examples of obedient discipleship of Jesus Christ. The gospel is the Beatitudes, which Jesus preached during the Sermon on the Mount, found in Matthew’s gospel. Each beatitude starts with the phrase “Blessed are the…” This “blessed” can be translated as deeply, perfectly, or supernaturally happy. Not pleasure or minor good feelings, but true lasting happiness. Who gets this deeper level of foundational joy? Those who abandon minor goods for still greater things. The Saints sacrificed money, control, security, and even sometimes their lives, to receive an even great joy – life with God forever. Just as REI is sacrificing some profits in order to stay true to their identity, when we, the Sons and Daughters of God, sacrifice some minor convenience for the greater glory of God, we too are staying true to our identity. What would you be willing to sacrifice to follow Jesus Christ? Last week Bartimeaus gave up his security and source of financial income. This week the Saints give up their control, popularity, or even their lives. 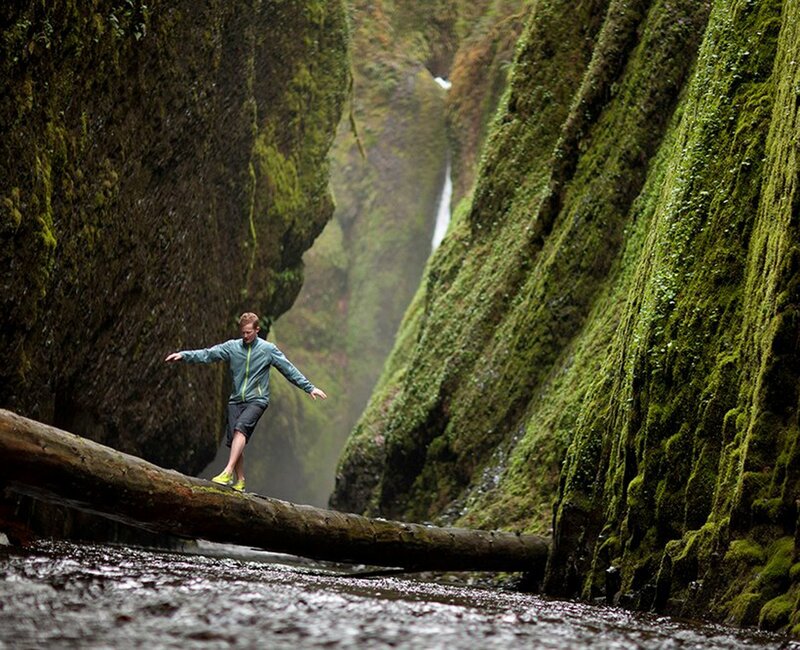 What is deep, beautiful, and profound joy, found in following Jesus, worth to you? Throw off your cloak. Just for 3 days this week, give up something that makes you feel secure and replace it with something that brings you closer to Jesus. (Example: instead of checking email/social media first thing in the morning, start your day by saying the Our Father or another prayer of your choosing). Jesus, HELP! Prayers from the top of the play set. The Good Word for Oct. 25th ~ for the complete Sunday readings click here. Have you ever had to call out for help? 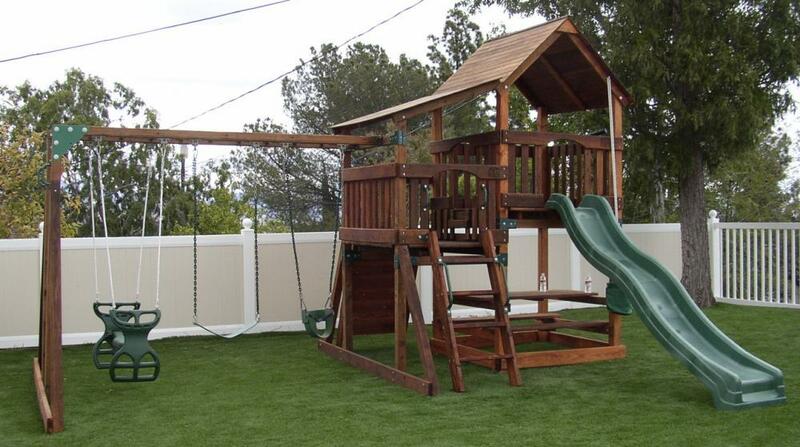 I have a 6 year old who loves our backyard play set. She doesn’t always use the hanging rings or swing or ladder in the way they were intended. Every now and again she gets herself stuck. Usually this means she is hanging upside down with a foot wedged somewhere and she can’t quite figure out how to get down with out landing on her head. It’s then, when she knows she needs help, that she yells for help. In the gospel today, when Bartimeaus hears that Jesus is near, he cries out, “Jesus, son of David, have pity on me.” Bartimaeus needs help. He knows that he is stuck in his current situation and calls out for help because he really believes that Jesus will help him. The difference between Bartimaeus and my daughter’s cry for help is that my daughter knows what I am going to do for her. She knows I will hold her up, help her get un-stuck, and lower her down without her getting hurt. But when Bartimaeus calls out for Jesus he does so trusting that Jesus will do something for him, but he doesn’t really know what. For me the lesson is that when we call out to Jesus, open to whatever he is willing to do for us, great things can happen – maybe even greater than we imagine in the first place. And our cry doesn’t have to be perfect. It doesn’t need to be the right incantation of words as if prayer is a magic spell. Prayer is as simple as calling out Jesus’ name and waiting in hope for his answer. When was the last time you cried out to Jesus? Are there people or pressures in your life telling you to be quiet and stay in your place? What do you want God to do for you? No matter what is going on in your life right now; whether you feel like you are blindly moving forward, barely surviving each day or you feel like you have everything under control, God wants to help you see better than you do right now. Cry out to him. Call Jesus and he will come near. Next time you are alone, find some silence, and say out loud, “Jesus, son of David, have pity on me.” And then listen. The Good Word for Oct. 18th ~ for complete Sunday readings click here. A friend of mine posted on social media that a relative of his took his baby to see Pope Francis in New York. Miraculously, while they stood along the parade route, Pope Francis stopped the pope-mobile and the motioned to bring the baby to him. The Secret Service carried the baby to the Pope who kissed and blessed the child before returning the baby to the mystified parents. Can you imagine? How cool, right? Encountering someone of power and humility like Pope Francis has got to be a momentous experience. 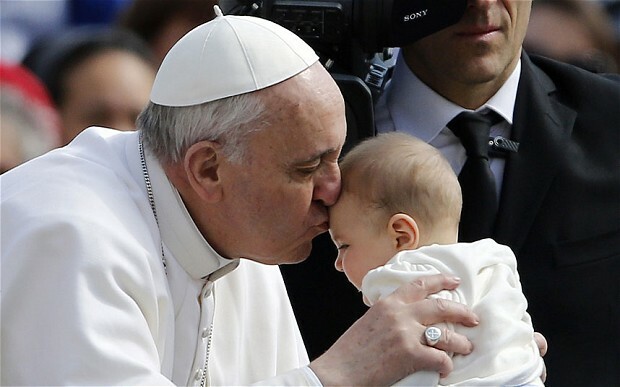 Imagine this: Pope Francis not only kisses your baby, but then turns to you and says, “What do you wish me to do for you?” You could ask Pope Francis anything. What would you ask? In the gospel, Jesus’ disciples, James and John, men he choose to follow him and found the church, said that they want him to put them into positions of power when he finally overthrows the government and is in charge. They believe that Jesus is a political revolutionary and that if they ask him, he will give them great power in the new Israel. They want to sit on the right and the left of Jesus’ throne. The issue with their request is that Jesus’ throne is the cross. James and John thought they were asking for worldly power and fame, but in fact they were asking for something totally different. They didn’t realize it, but they were asking to serve as Jesus serves and to die as Jesus dies. When they said they could drink from the same cup, they were committing to a life and a death of service for others. I don’t judge them too harshly because I’m not sure how I would answer if Jesus turned to me and asked what I want him to do for me. What would you ask for from Jesus if you could ask for anything? What would you ask him to do for you? Every other time Jesus asks this same question in the gospels, he is asking it of someone who needs healing of their blindness. In both the other cases, the individuals are instantaneously healed and immediately follow Jesus. I wonder if Jesus was hoping for James and John to ask for healing of their blind ambition. At any rate, Jesus uses this opportunity to teach the disciples that antidote for ambition is humility. He teaches that in order to lead, they must serve. In order to give life, they must die. What is your answer? What would you ask Jesus for? Have you ever heard the phrase, “You can’t have your cake and eat it too!” As a kid, I never understood that bit of wisdom. 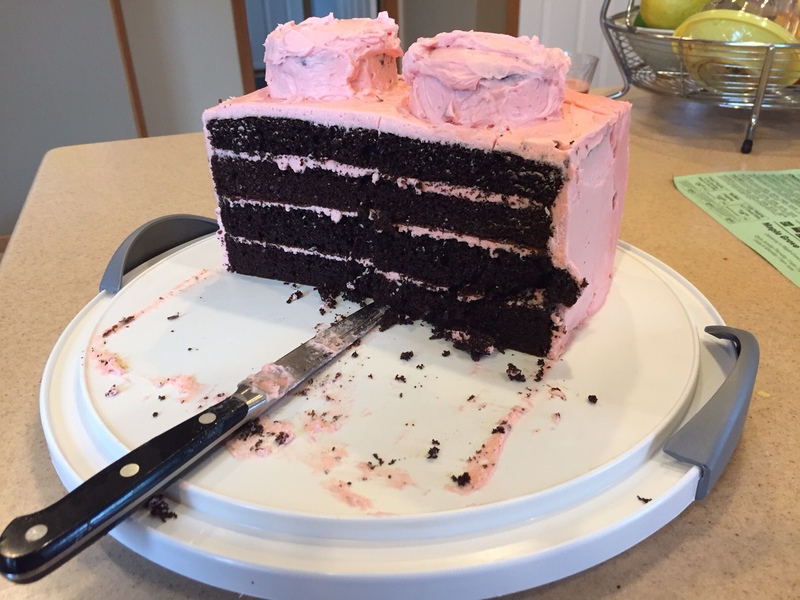 I was always like, “Isn’t ‘having’ cake, just eating cake?” When I got a little older I heard people say, “Well, isn’t that just too pretty to eat.” I didn’t understand that either. No food is so pretty that I don’t want to eat it. It’s food. I guess I’m weird that way. What both of those sentiments is getting at is that sometimes in life we can’t have things both ways. We can’t hold on to and admire a well-decorated cake and cut it too. It’s like when the Cake Boss yells, “Let’s eat some cake!” and then cuts into this momentous creation that he spent 150 hours decorating. At some point you have to decide if the thing is visual art or particularly beautiful food. I heard a priest once preach that before about 100 years ago the plural form of the word, “priority,” rarely, if ever appeared in print. The reason being that the very definition of the word priority is “one thing before all else.” A priority refers to the thing that we but before everything else in our lives. In this way, saying that we have priorities doesn’t actually make much sense. In our gospel today Jesus reminds the man in the story, and all of us, that if we want to be happy and holy and healthy we can have just one priority – an intimate relationship with Jesus Christ. No rules will save us. No amount of money can redeem us. Nothing other than following Jesus Christ should be our #1. Our current culture says that we can have multiple priorities – many first things. We are told we can be young and rich and beautiful and old and have a family and uber educated and powerful and good and selfish and relaxed and stressed and 1000 other things. We can have our cake and eat it and everything else too. The gospel reminds we that every day we make a decision what our #1 priority is. The rich young man goes away sad because he decided his wealth was his priority. The thing is, every day we choose, whether we do it on purpose or not, what our priority is going to be. Wherever we spend our life, whatever gets our attention and focus, and what we spend our money on demonstrates what our priority is. This is hard to think about because it shows that most of us either have chosen poorly our priority or aren’t very good at living our what we wish our priority was. Even the disciples are discouraged by Jesus’ teaching priorities and heaven and then spend all their time following Jesus around. The good news comes at the end of the reading. Jesus reminds us that though we will have to give up everything else in our life in order to make Jesus Christ our priority, the reward is no less than 100 times our investment. No matter what we sacrifice to follow Jesus, it will be worth it. God is never outdone in his generosity and will multiply any gift we give him. Take a peak at your bank statement. Based on where you spent your money, what is your priority? What is important to you and your family? Do you intentionally live with a priority in mind? Explain. “Where do babies come from?” The Good Word for Oct 4th. “Daddy, where do babies come from?” Yikes. All parents of young children have been faced with this question. For some of us, it was a scary moment. Others probably handled it better than I did. What is the right answer? If I had a do-over on that one, I think I would answer like this, “Babies come from LOVE.” Maybe it’s not the whole answer, but it’s not wrong. God is love (1 John 4:8). And my babies came from the love my wife and I have for each other. This kind of love isn’t just affection or even friendship (or romantic attraction), but from a deep, intimate, self-sacrificing love that God gave us for each other. Out of this kind of love, God gave us the ability to make children. I remember the first time it really struck me that God gifted my wife and I the ability to co-create another human. This little baby my wife is holding has a soul. This human is made in the image and likeness of God, just like Adam and Eve. This is such a powerful and amazing reality. God gives us the ability to co-create a human with a soul – a human that God wants to live with forever in heaven. Wow. In the gospel this weekend, Jesus talks about marriage and children. He does so because both of these pieces of the human experience are so incredibility powerful and important. Marriage is good. Children are good. Both cost us something personally, but that is good too. The thing is that we live in this broken world. Divorce rates are high, marriages are in trouble, infidelity seems commonplace, spouses barely talk to each other because they are so busy, and even solid marriages struggle with everyday issues. We’ve all been touched by the pain of broken marriages and hurt spouses. The reason broken relationships and struggling marriages hurt so much is because marriages are so good. Jesus’ teaching about remarriage and adultery is hard to hear, and for some it is particularly painful. Does it mean Jesus has abandoned some of us? If this scripture was the only thing Jesus says about marriage and brokenness, then the struggle we have to live up to this high standard for marriage might cause us to be tempted to lose heart. But Jesus said he came, not to condemn the world, but to save it. Jesus promises to be with us always. Jesus promises to struggle alongside us. Jesus doesn’t just promise us, he shows his unconditional love for us when he dies on the cross. When does God love? When we need it the most. God doesn’t just love us when we are doing our best, but God loves us when are far short of perfect. So when your marriage is a source of life and joy, thank God! When everything falls apart and you are hurt and broken and the very foundation of your life seems over, seek Jesus Christ. If you feel like the Church or Jesus is telling you “stay away” because of your sin, they are not! God calls all of us sinners close to him. Thank God for love. Whether that is children, spouse, friendship or community offer up a prayer of thanks for the love in your life. PS – Have you heard any of the homilies from HNOJ’s homily series “God: Who does he think he is?” Find them here.